The Bayanihan Foundation put together the Community Power Giving Circle, a giving circle created by young Filipino Americans dedicated to give back to young Filipinos and Filipino Americans locally and globally. What is the focus of the Community Power Giving Circle? The giving circle plans to focus its giving to Filipino and Filipino American youth projects both in the US and/ or the Philippines. What are the expectations if I join the Giving Circle? Participants of the 2019 NEXTGEN Fellowship are expected to contribute to the giving circle. Others are also encouraged to contribute towards the pooled funds. In addition, participants are encouraged to join any or all the following four events: 1) one online workshop on popular education training on privilege and power; 2) one online workshop on leadership development and fundraising; 3) selection of group/s to be awarded; and 4) assessment and evaluation. You are invited to the award ceremony of the Community Power Giving Circle on Sunday, October 20, 2019 in Los Angeles, CA. Who is involved with the Community Power Giving Circle? The Bayanihan Foundation requires the 2019 NEXTGEN Fellows to join the Community Power Giving Circle as a ‘training ground’ for philanthropy. Dale Asis, President of the Bayanihan Foundation serves as fiscal agent of the Giving Circle. Who can join the Giving Circle? The 2019 NEXTGEN Fellows are required to join the giving circle. Other young Filipino Americans, ages 14 years old and up, are encouraged to join the Giving Circle. If you are between ages 14 and 18 years old, please have one of your parents or guardian sign a brief consent form. Why have a Giving Circle? A giving circle taps into donors’ personal interests and desire for engagement while allowing them to leverage their dollars to make a significant difference in their communities. 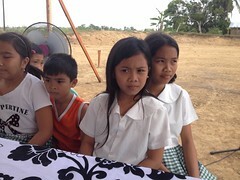 Why is Bayanihan Foundation having a Giving Circle? The Community Power Giving Circle is aligned with the Bayanihan Foundation’s mission of Filipinos abroad helping Filipinos at home. The giving circle will also engage Filipino and Filipino American groups both locally in the US and globally in the Philippines. How does a Giving Circle work? The host, Bayanihan Foundation and the giving circle, Community Power has legal responsibility for the giving circle and its activities. Although the giving circle may have considerable autonomy and independence, the Bayanihan board will review all decisions and activities to ensure that the giving circle doesn’t accidently do something that puts the host at legal risk. The Bayanihan Foundation serves as fiscal agent of the giving circle and provides donors tax deduction for their monetary gifts. Bayanihan will accept the donation, provides official thank-you letters and provide regular reports about the pooled fund’s status. October 20, 2019 – Announcement of recipients/ celebration in Los Angeles, CA . Who do I contact if I have additional questions about the Giving Circle? Please contact James Castillo at redbpro@gmail.com or Dale Asis at dale@fdnbayanihan.org or (773) 273-9793. Stay tuned for upcoming podcasts!